Lincoln - Oakes Nurseries is owned and operated by the ND Association of Soil Conservation Districts. 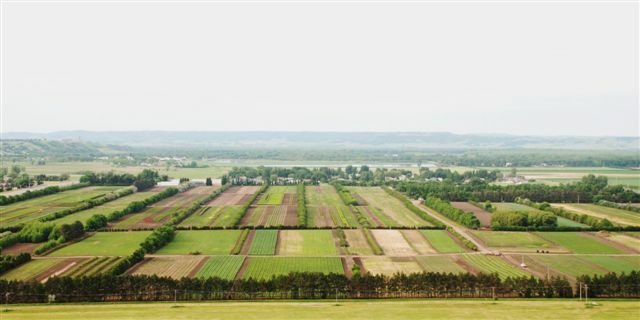 The current nursery operations are located in Bismarck, North Dakota and has been providing low cost bare root tree and shrub seedlings for ND Soil Conservation Districts, U.S. conservation districts and forest service agencies in the US and Canada. Out of state retail customers can place an order year round for Spring shipping at www.lincolnoakesnursery.com. CONSERVATION/OVERSTOCK SALE will open in the Spring for North Dakota residents to pre-order and pre-pay for conservation bare root tree & shrub seedlings. Watch for the online store to open April 11, 2019 and going through June or until sold out. Indicate pickup at nursery or delivery via shipping. The nursery will open to the public for the Conservation Sale starting May 18 from 8 am - 4 pm. NO PUBLIC WALK IN SALES PRIOR TO PUBLISHED SALE DATE. For assistance in selecting trees or shrubs for specific area or soil conditions that are not listed in the descriptions on this site can visit the ND State University website by clicking this link. http://www.ag.ndsu.edu/tree-selector or contact their local Soil Conservation District. The "LINCOLN" unit of the Nursery had its beginning in the early 1930's as the Mandan Nursery under the supervision of the Bureau of Plant Industry. It was both a production nursery and a plant testing facility. In 1935 it was transferred to the Soil Erosion Service. One month later, the agency's name was changed to the Soil Conservation Service. The Mandan Nursery was moved to an area between Bismarck and Mandan and called the Heart River Nursery. The Soil Conservation Service moved it to its present location - on the parade grounds of the Fort Lincoln Military Post. In 1953 the Department of Agriculture discontinued all Soil Conservation Service nurseries and the North Dakota Association of Soil Conservation Districts agreed to assume the operation of the 355 acre Fort Lincoln unit south of Bismarck, North Dakota. The "OAKES" unit of the Nursery had its beginning in the late 1930's by the United States Forest Service south of Oakes, North Dakota. It was closed in 1942 and the nursery was not used for several years. In 1947, the North Dakota Association of Soil Conservation Districts purchased the Oakes Nursery and has operated the 180 acre nursery since that time.